Whether you're throwing a party for friends or hosting a large event, the Disposable Martini Glasses provide the perfect alternative to breakable glassware. These 15cl glasses feature a unique black stem for a sophisticated look, ideal for serving up a variety of martini style cocktails. 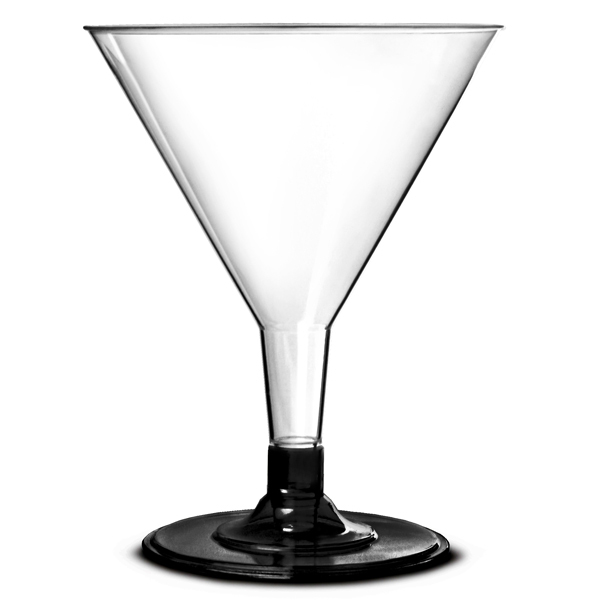 "These glasses were ideal for serving espresso martinis at a recent high budget wedding. 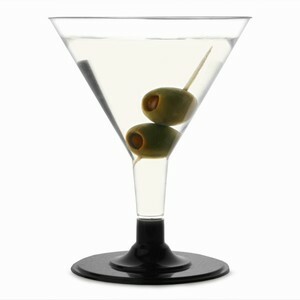 The martinis looked amazing and are the perfect size when making in large quantities. Good fit bases that stayed on. The quality is fairly good and if handled carefully can be reused. Wish this was available in biodegradable plastic then they would be perfect." "Great quality product could do with something in this range around the 8 oz mark. Sales team have excellent product knowledge, items arrived when requested. "Great for a BBQ - a little small but as they are for cocktails its not really an issue. A large jug of cosmopolitans disappeared very quickly with these, no washing up, no complaints." "A good value and fun addition to a house party - no need for expensive cocktail glasses when you have these!"